N8 AgriFood’s livestock specialist, Jonathan Rushton, is to be part of the world-wide promotion of a new tool to report on the state of animal health across the globe. The World Organisation for Animal Health (the OIE), is launching its new World Animal Health Information System (WAHIS) this month. 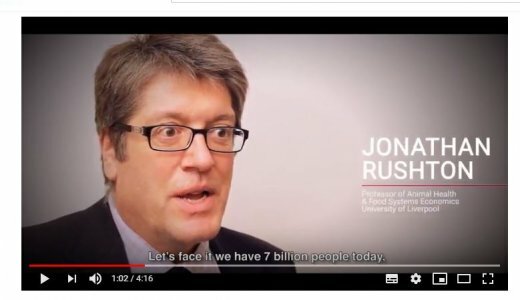 As part of its promotion of the roll-out of the new system, the OIE has released a video featuring N8 AgriFood’s chair at the University of Liverpool, Jonathan Rushton, pictured.